Rebel WordPress Website Package is for passionate entrepreneurs or teams who are idea creators, problem solvers, solution providers and disruptive thinkers, (regardless of business model or entity), who create value for others and want to deliver that value to those in need. Ease of use: You do not have to be a web wiz to manage your WordPress website which cuts maintenance costs. Flexibility: Wordpress provides plethora of apps that make attracting, converting, tracking and retaining customers easy. Reliability & Security: WordPress community ensures the CMS code is updated frequently with the latest security features. Responsiveness: Pixelfanatix implements themes and designs websites that are platform agnostic so you can reach your customers no matter where they are and what digital device they use. Affordability: Wordpress websites cost less, cut production time and are built with superior quality. Win/Win/Win! Search Engine Friendliness: Google, Bing, Yahoo and other engines LOVE WordPress for its clean code which means your site can be crawled by search engines and found easier. If you’re a business owner who needs to build relationships with potential customers online (web or mobile), to let them know you are the best possible person (or team) to help solve their problems, Rebel WordPress Website Package is your best website option to launch your online brand and reach your audience quickly, convey your value proposition clearly, nurture relationships easily, and grow your customer base automatically. Rebel WordPress Website Package is so easy to use for customers in fact, that it enables you to grow and manage your website without any technical know-how, this is why WordPress is the #1 Content Management System in the World so you can rest assured you are running top of the line professional web presence. 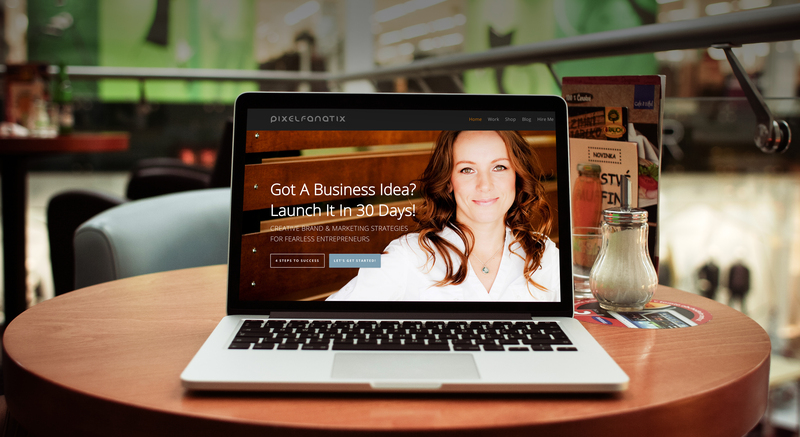 In case you’re a busy CEO who does not want to manage or market your own website, Pixelfanatix offers affordable monthly website maintenance, SEO and marketing programs so you can focus on your business instead. Upon initial $514 payment you will receive an email to schedule a FREE phone consultation. Unless you have an RFP you’d like to forward for review, you will receive a Project Planner Worksheet to help gather all the necessary information about your website. I’m Ready To Start When You are! My name is Marzena Kmiecik and I help innovative leaders pioneer change by turning their value-rich passions into successful lifestyles & businesses. If you're a non-conformist ready to unleash an innovative idea, purpose-rich product or solution, I am the perfect digital partner for you to rebel with. Let's get started!